It is the spring of 1800. Captain Alan Lewrie, fresh from victory in the South Atlantic, is back in England and fitting out his new frigate, the HMS Savage. But true to fashion, Lewrie can't stay ashore too long without trouble arising. A Jamaican court has tried him in absentia and sentenced him to hang for the theft of a dozen black slaves. The vengeful slave owner has made his way to London to seek Lewrie's end . . . with or without the majesty of the law! To complicate matters further, Lewrie must also deal with allegations that he is a faithless rakehell, as his wife has been informed through anonymous letters. 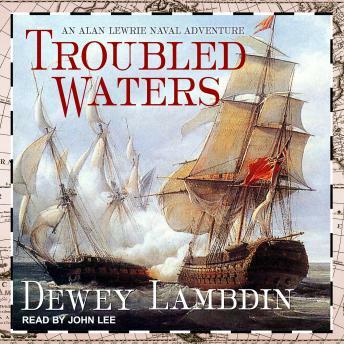 Despite shoreside legal matters, Lewrie takes the Savage on King's business to Sou'west France to plug the threat of enemy warships, privateers, and neutrals smuggling goods in and out of Bordeaux. It could be dull and plodding dreariness, but a bored Captain Alan Lewrie, safe in his post (for the moment), can be a dangerous fellow to his country's foes . . . if only to relieve the tedium!